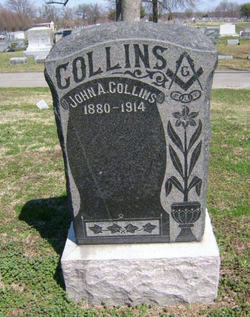 Town Marshal John Collins was shot and killed as he and a county constable searched for several men suspected of stealing chickens. They had approached a family that included a father and three sons after learning they were nearby. As the officers stopped their buggy they were immediately fired upon. Marshal Collins was struck in the head by a shotgun blast and the constable was struck in the leg. The family fled the scene. The father and all three sons were arrested a short time later. Two of the sons were convicted of manslaughter. One was sentenced to 21 years and the other to seven years in prison. 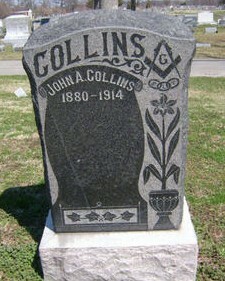 Marshal Collins was survived by his wife. To fully appreciate the heroes of the present, we must recognize our heroes of the past. Your heroism and service is honored today, the 99th anniversary year of your death. I am priviliged to leave a tribute to you. Your memory lives and you continue to inspire. Thank you for your service. My cherished son Larry Lasater was a fellow police officer who was murdered in the line of duty on April 24, 2005 while serving as a Pittsburg, CA police officer.